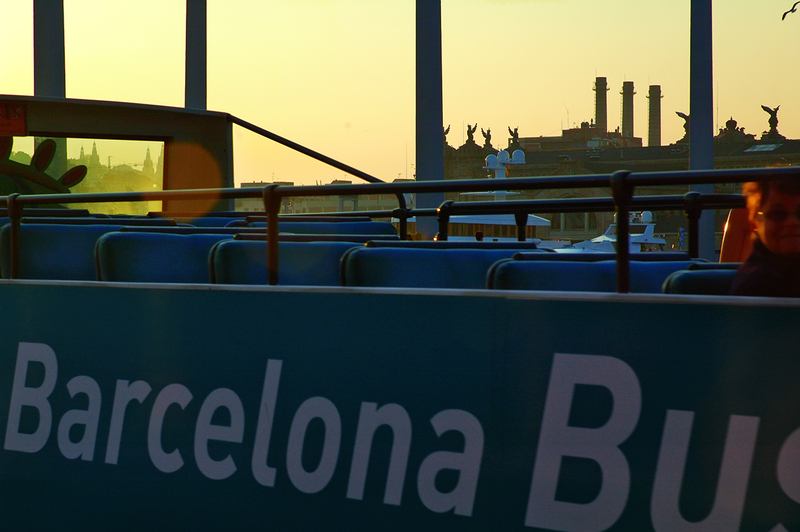 This is just a glimpse of the well known double decker tourist buses of Barcelona. More than a picture of the bus as such I wanted to convey the feeling of riding along Maremagnum by the sea watching Barcelona skyline in the afternoon. Congratulations on winning the European soccer title!